Before you can begin to build a successful investment portfolio, you should understand the basic elements of investing and how they can affect the potential value of your investments over the years. When you invest, there is no guarantee that you will end up with more money when you withdraw your investment than you put in to begin with, and that's a very scary prospect. Loss of value in your investment is what is considered risk in investing. Even so, the opportunity for investment growth that is possible through investments far exceeds that concern for most investors. At the cornerstone of investing is the basic principal that the greater the risk you take, the greater the potential reward. You get paid a higher return only when you're willing to accept more volatility. 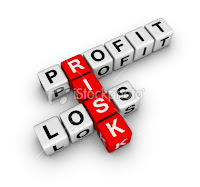 Risk then, refers to the volatility. Volatility is the up and down activity in the markets and individual issues that occurs constantly over time. This volatility can be caused by a number of factors such as interest rate changes, inflation or general economic conditions. It is this variability, uncertainty and potential for loss, that causes investors to worry. We all fear the possibility that a stock or bond we invest in will fall substantially. But it is this very volatility in stocks, bonds and their markets that is the exact reason that you can expect to earn a higher long-term return from these investments than you can from CDs and savings accounts. Different types of investments have different levels of volatility or potential price changes, and those with the greater chance of losing value are also the investments that can produce the greater returns for you over time. B. It is precisely the reason you can expect to earn higher returns. You might find it helpful to always remember that all financial investments will fluctuate. There are very few perfectly "safe havens" and those simply don't pay enough to beat inflation over the long run.